The entry list features a mixture of current TT stars and established Classic contenders, and picking a winner will not be straightforward with at least a dozen riders more than capable of taking the win in the 4-lap race. 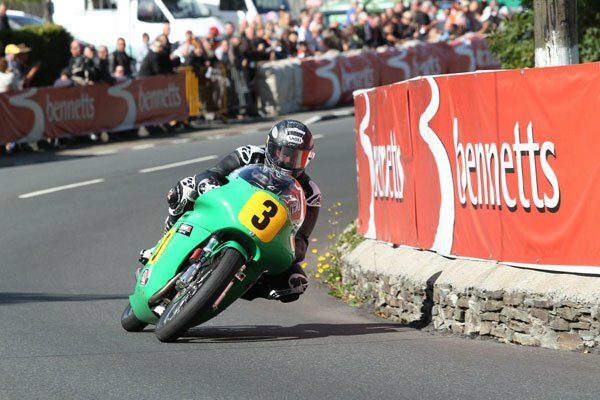 The pre-race favourites will, arguably, be the multi cylinder Paton machines in the hands of three TT greats – John McGuinness, Ryan Farquhar and Ian Lougher. McGuinness made his Classic debut at the same event twelve months ago although it didn’t prove to be a memorable experience as his fortnight was plagued by machine problems. A qualifying lap in excess of 111mph showed what he was capable of and more of the same will be required if he’s to stand on the top step. 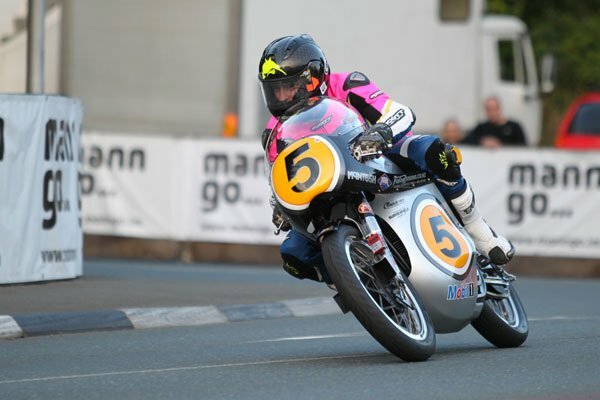 Ryan Farquhar, who has taken the 500cc Classic Manx GP title on no less than five occasions, will be his teammate on the Roger Winfield machines. With his knowledge of the machine second to none, the Ulsterman will fancy his chances. Lougher, meanwhile, will be out on the same Paton machine that Olie Linsdell used to take the inaugural 500cc Classic TT win twelve months ago. Linsdell has done a straight swap with Lougher for 2014 as he’ll campaign the 500cc Royal Enfield that the Welshman used last year and he’ll pose a major threat once more as will Mountain Course Outright Lap Record Holder Bruce Anstey who returns on Ken McIntosh’s Manx Norton. The Kiwi was running as high as second last year until being forced to retire, the first time the machine had failed to finish a race, and will be keen to redress the balance this time around. Guy Martin and Michael Dunlop add further weight to the Norton challenge with the duo riding Andy Molnar’s 4 valve Manx’s and the list of potential winners keeps coming in the shape of Gary Johnson and Dean Harrison who will be both mounted on MV Agustas. Davies Motorsport also have two riders capable of the victory on their Honda machines with last year’s runner up William Dunlop and long-time Classic race exponent Alan Oversby continuing with the team for a second year. Multiple Manx GP winner Roy Richardson will ensure that Italy has another shot at the top step as he again rides the FCL Racing/Bullock Manxsport Aermacchi with Cameron Donald sure to be the leading contender on a Matchless, the Aussie ace again riding for Ripley Land Racing. Keith Amor (Dunnell Racing), Jamie Coward (Ted Woof), Bill Swallow (Works Racing Motorcycles) and Daniel Cooper (Molnar Manx) add further strength in depth to Norton’s effort. James Hillier (CSC Racing), Dan Stewart (Wilcock Consulting), Paul Coward (Werner Molders), David Madsen Mygdal (Gimbert Racing) and James Cowton will all be Honda mounted with Mark Herbertson (Gilbert Brown Matchless), Allan Brew (Luviair Matchless), Mark Parrett (Chas Mortimer Norton), Chris Swallow (DG Kenah Norton), Bob Owen (Dave & Alan Green Matchless) and Rob Barber (Econoloft Seeley Matchless) will also be optimistic for a good result. Chris McGahan, Maria Costello, riding another Paton, Nigel Moore, Stuart Garton, Shaun Anderson, Bruno Leroy, Phil McGurk, Stephen Thompson and Alec Whitwell are just some other names expected to feature from the 90-strong entry but keep an eye too on 1993 Formula 1 TT race winner Nick Jefferies and nine-times TT winner Charlie Williams, the latter having his first competitive race around the Mountain Course since he finished fifth in the 1984 250cc Production race.